On October 1, 2002, 640 students of 66 schools from New Delhi gathered in the beautiful garden of the former Birla House, the spot where Mahatma Gandhi was assassinated. Today Birla House is a museum operated by the governmental institution Gandhi Smriti and Darshan Samiti, who hosted and organized the event. 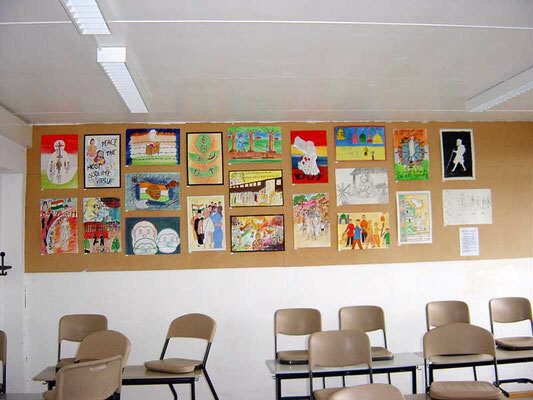 The boys and girls between 13 and 18 years painted their pictures which much enthusiasm. Of course, they prepared themselves for the event with the help of their drawing teachers, parents and local artists. The quality of many pictures in terms of historic understanding and artistic expression is amazing. A panel of experts evaluated the paintings and decided the prizes. 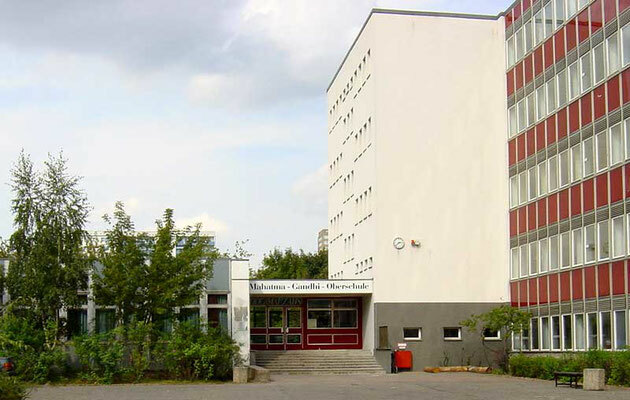 A teacher, with a few of her students of the Mahatma Gandhi High School in Berlin, Germany were present at the event and took a selection of the pictures back home. 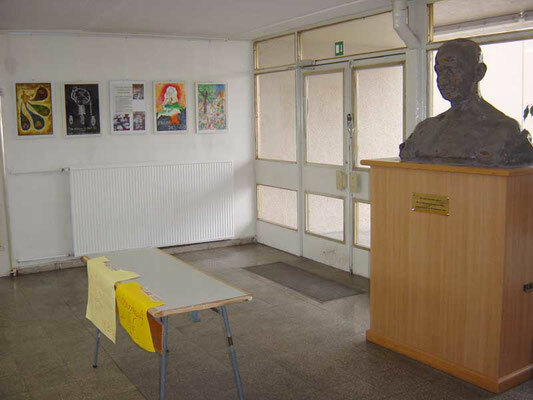 Arrived at Berlin, 93 pictures of the drawing competition are exhibited in the lobby, class rooms and hall ways of the school. 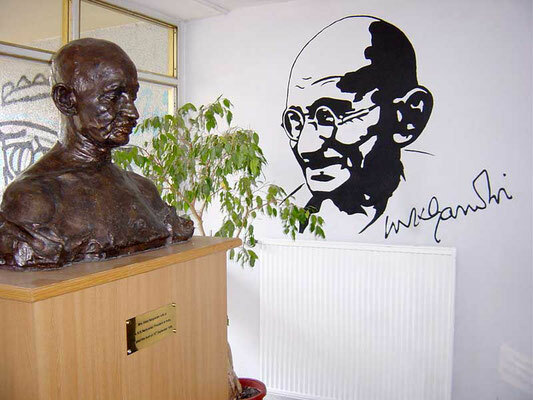 Mahatma Gandhi's life and work is discussed during the English lessons, and the students write letters to the young Indian artists, hoping to receive replies soon! Thus the Gandhi Bridge of Understanding comes into existence which brings the world a little closer.